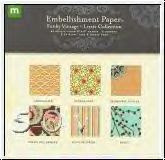 I recently received some embellishment paper - Funky Vintage - Lizzie Collection from Innovative Stamp Creations manufactured by Making Memories. 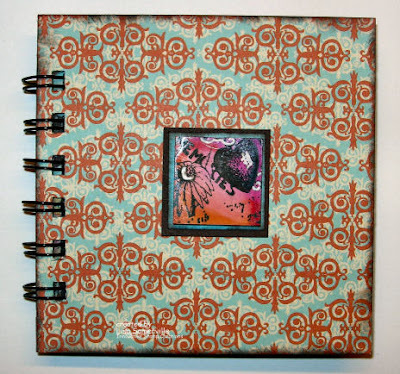 This 6"x6" paper pad has some incredible papers! 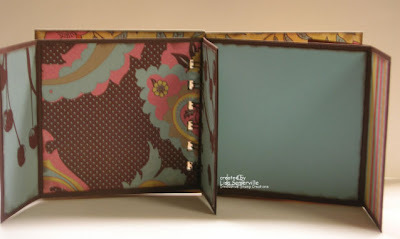 I made a 4"x4" flip book using the Funky Vintage papers. 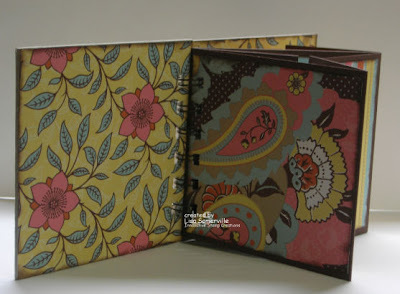 The image on the front of the book is also from Innovative Stamp Creations (stamp sheet - Art Frames 4). 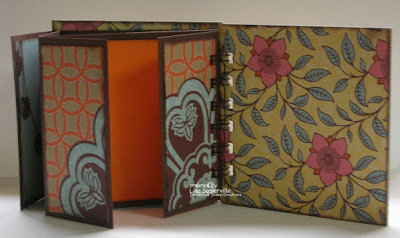 The image is stamped on a piece of stampbord, colored, and highlighted with a white gel pen, then attached to coordinating card stock, then to the front of the book. I used my BIA machine with chocolate coils to hold my book together. very pretty--I like the paper! Good idea to use the BIA machine for the book. Lisa, that is just stunning! love the fun paper. looks great! Absolutely stunning!!! Everything about this book is wonderful! Wish I could make something like that! How did I miss this post? This book is GREAT!